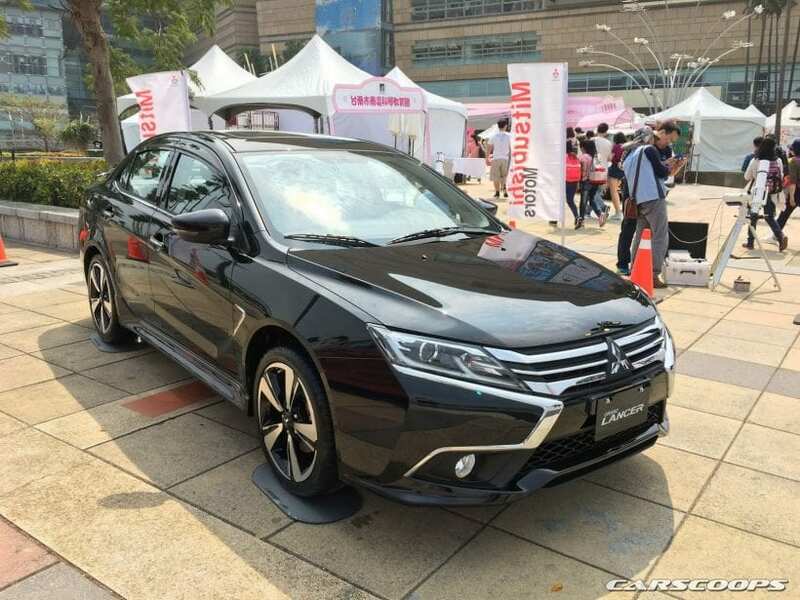 What we have here are new photos of the next-generation Grand Lancer that will hit the Chinese, Taiwanese, and few other Asian markets. The Lancer is not so popular in Europe, but the Japanese automaker has decided to try out the model in other parts of the world. The Grand Lancer is basically a European-specs Lancer with a different interior and exterior. The new bodywork includes Mitsubishi’s latest “Dynamic Shield” front grille, a sharper rear end, and a boomerang-shaped crease on the sides. The interior is also refreshed for a more premium look and has a dashboard that might feature soft-touch materials along with silver details. You can also find a new digital instrument cluster and an 8-inch touchscreen infotainment system inside the cabin. When it comes to engines, only a 1.8-litre petrol capable of producing 138 hp was mentioned so far. The model is available with a sole transmission option which uses CVT gearbox that sends the power to the front axle. A manual mode with six pre-selected ratios and paddle shifter on the wheel as an option is also available with the CVT. So, say goodbye to the Lancer and say hello to the 2018 Mitsubishi Grand Lancer.